Automatic Gauging Machines incorporate both automated loading hopper, magazine, pick and place robot and automated segregation of inspected components. 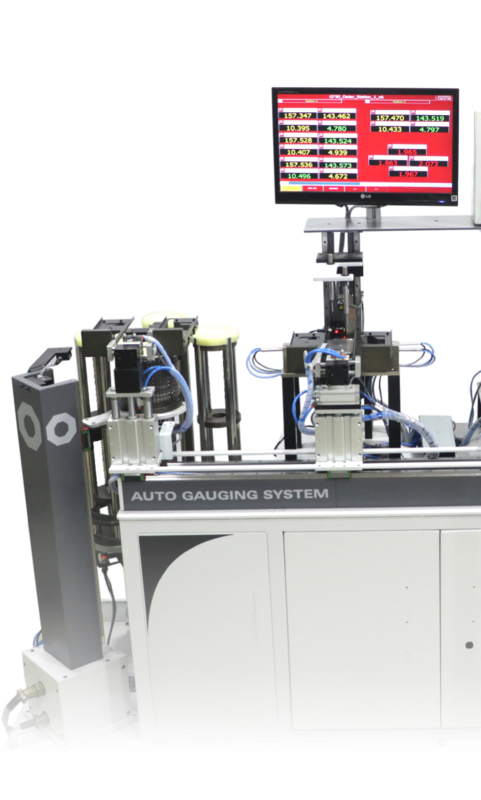 Autogauging is essential where the complexity of the component is such that manual methods can not achieve the desired levels of accuracy. Contact / non-contact sensors are provided to ensure part presence and to ensure correct part location. Possibility to integrate with existing component handling line Gantry or line conveyor. Poka-Yoke to avoid wrong loading. Safety barrier interlocks in automated cycle to avoid accidents. Optimized cycle time to match the production cycle.